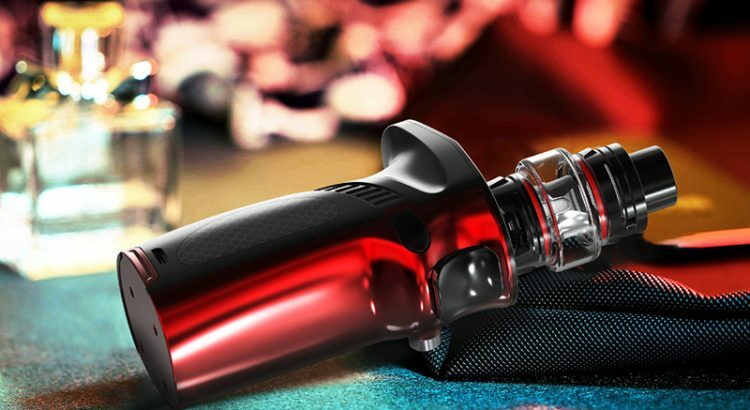 Today Shenzhen IVPS company released the newest Smok Mag Grip 100W TC Kit, which is the newest member of mag series. it includes the Mag Grip Box Mod and TFV8 Baby V2 sub ohm tank, only 4 colors available. the new smok kit compatible with single 21700 / 20700 / 18650 battery and max output 100watts. the tank can hold 5ml e juice, two brand new coil heads available, will bring you the intense flavor. the mag grip mod with the similar triggering style fire button, which like the trigger of a gun. the surface of the button is fairly smooth, which makes you feel comfortable when your finger pulp touches and presses the key. another innovative design is the coil-shaped button for battery installation, lock, and load. you can even hear the pleasant sound that a real gun can offer you. 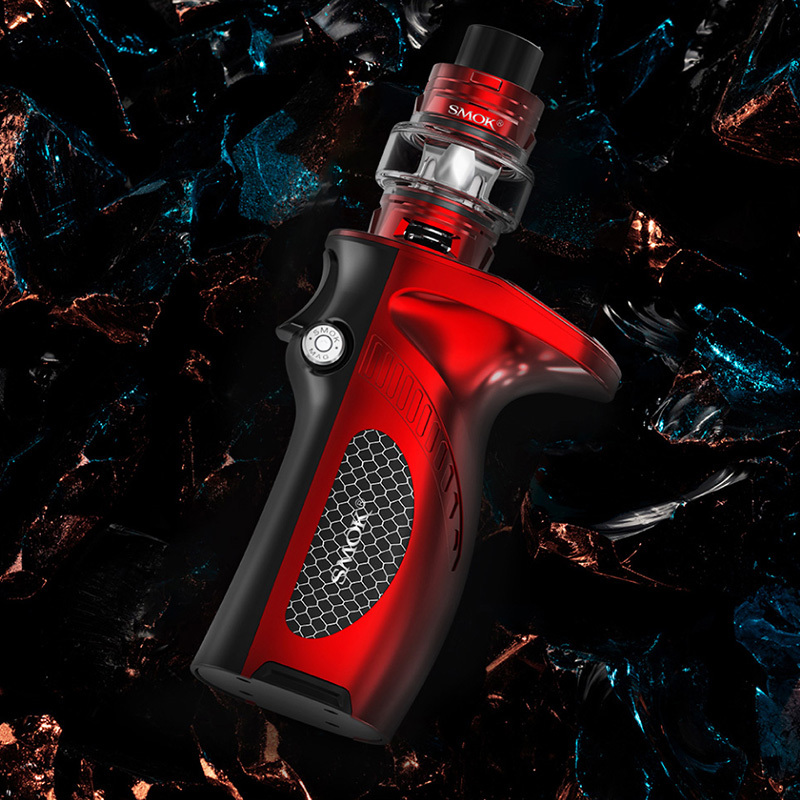 The smok TC box mod with simple colorway lets the hole device appear more concise and practical, the grooves on the upper part of the mod are optimized to maximize the practicability that makes the mod more comfortable to grip and hold. the mag grip mod compatible with single 20700 / 21700 /18650 battery, if powered by single 18650, the max output is 85watts, if powered by single 21700 or 20700, the max output up to 100watts. it adopts one 0.66 Inch OLED screen with high definition, will show you the vaping data clearly. The TFV8 baby V2 sub ohm tank can hold 5ml e juice, with convenient top refill and bottom airflow adjustable designs, it comes with two brand new Baby V2 S1 and Baby V2 S2 sub ohm coil heads, both of them focus on the lower working wattage and intense clouds. 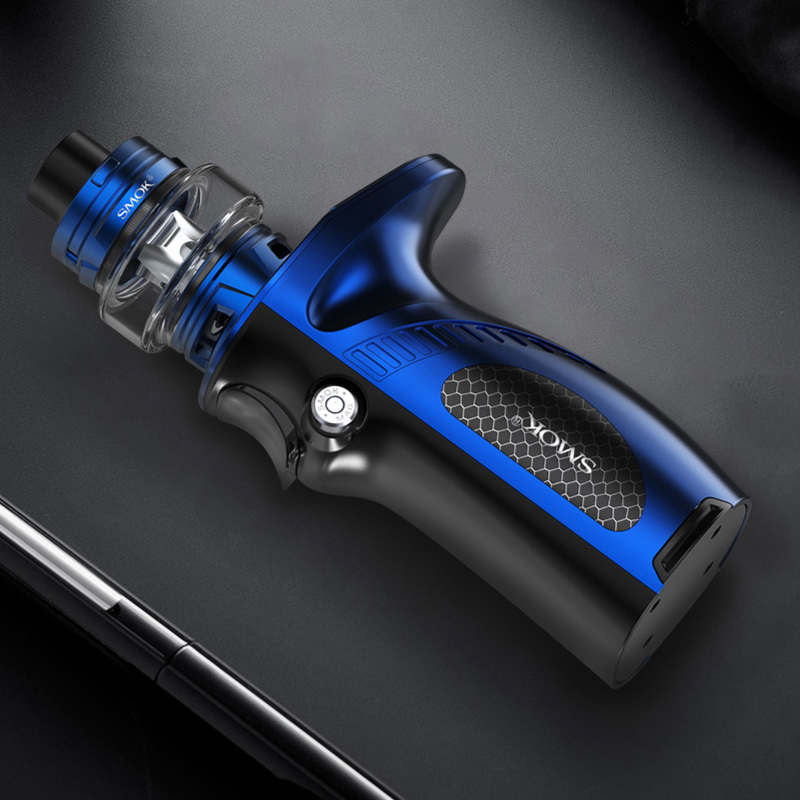 The Smok Mag Grip is one good ergonomically design starter kit, fit for the new user or experienced vapers, simple design and easy to use, but powerful, it will bring you better vaping experience.